If you have ever considered taking Clonidine for opiate withdrawal, then there are a few things you need to know before you dive in with your first dosage. We’re going to do a quick run down on Clonidine due to the fact that many detoxes and treatment centers and using it in their opiate withdrawal protocols. It can do a lot for withdrawal and help with anxiety as well. Thanks to it’s ability to reduce blood pressure, and the rate at which your heart beats, Clonidine is regularly used as a way to lessen the amount of anxiety associated with opiate withdrawal. Not only has Clonidine been proven to help with opiate withdrawal anxiety, it is also touted as an effective treatment for restless leg syndrome (RLS), which is a common side effect of opiate withdrawal. Clonidine can help you sleep better at night, thanks to it’s ability to reduce heart rate, which can help induce sleepiness. The sympathetic nervous system is responsible for the majority of opiate withdrawal symptoms, and Clonidine has been proven to combat the nervous system’s response, ultimately lessening the effects of those symptoms. It’s ability to treat restless leg syndrome will allow you to find comfort. Sweating, and anxiousness are completely eradicated, because of it’s effect on blood pressure. To maximise the effects of Clonidine for opiate withdrawal, it is recommended that you take 0.2mg twice a day (Orally), or the TTS-2 transdermal patch (0.2mg) just once per week. When my doc gave me my prescription, he also suggested taking 0.1mg four times daily. Combining your Clonidine dose with a benzo can be a powerful duo for withdrawal symptoms! Clonidine is one of the most commonly prescribed drugs for opiate withdrawal, and it’s generally deemed safe the majority of the time, but as with any drug, certain side effects can show up from time to time, so it’s a good idea to have an idea of them beforehand, so you know exactly what to expect. The chance of developing addiction to Clonidine is almost non-existent, but it is highly recommended that you never stop using the drug abruptly, as the sudden change could lead to a rapid increase in blood pressure, headaches, severe shaking, and nervousness. 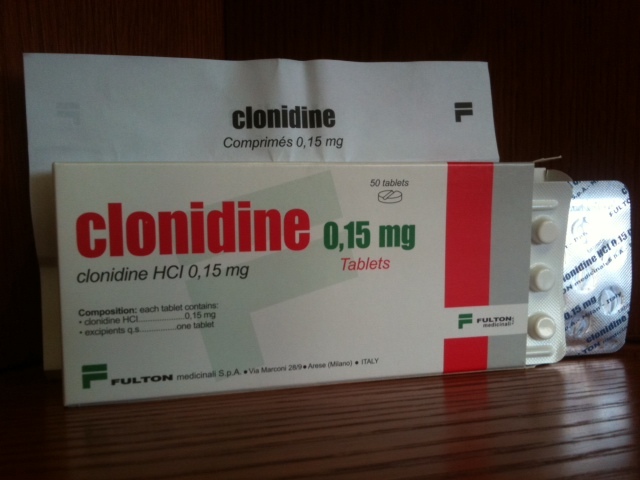 Where Can I Purchase Clonidine For Opiate Withdrawal? Unlike a few of the other popular choices of opiate withdrawal medications, Clonidine is fully regulated, and available to pick up from a pharmacist with a prescription from your doctor. The length of treatment can range from a few days, to a few weeks ,depending on the severity of your addiction, but you should always be in touch with your doctor throughout the entire process.